Ever since our tandem arrived we've been doing a lot of riding. 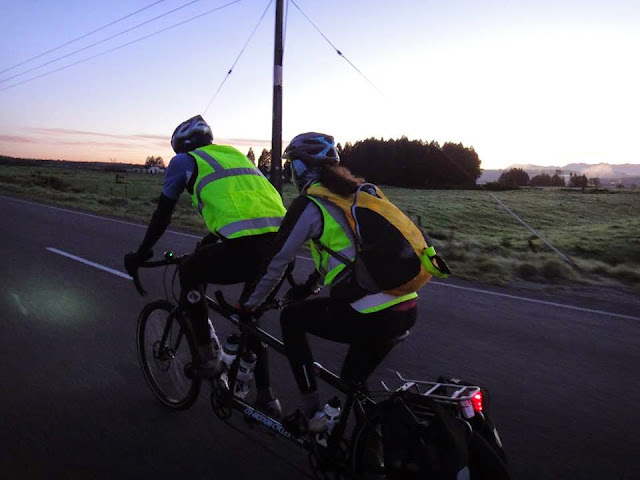 At the end of October we did our first randonneuring event with the Kiwi Randonneurs, a 400km loop from Greymouth to Greymouth in a day (via Reefton > Springs Junction > Murchison > Westport). Quite possibly also the last time I ever ride that far in one day! I mean, all the beautiful scenery down the West Coast from Westport and it was in the dark! It would make a beautiful two-day ride though. 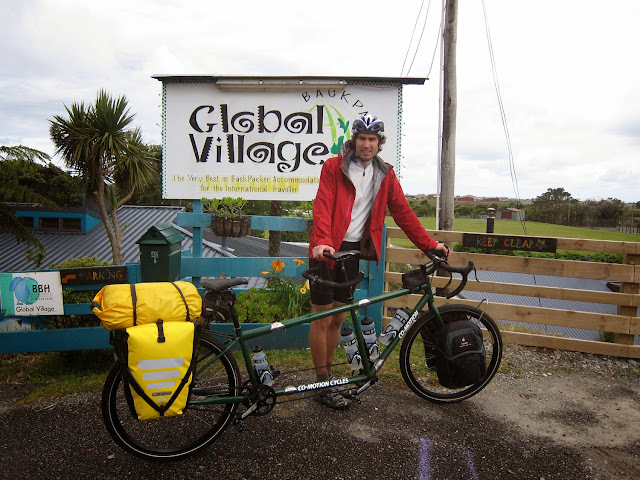 Anyway, we survived and it got me pretty keen for some cycle touring. About half an hour into the 400km Greymouth ride. Photo by Shane Davidson. Tuesday evenings are normally time trials along Old Tai Tapu Rd with the Canterbury Time Trial Association. It's pretty cool 'cause I definitely wouldn't normally want to ride for 16km along a flat course as fast as I can. That just sounds like torture! We are the only tandem there but there is a trike and it's always fun to see the pro riders with their skin suits, aero helmets and swanky time trial bikes. Some even bring some pretty fancy wind trainers to warm up on first. At the start of December each year there is also the hill climb time trial from the Blue Duck by Motukarara to just past the top of Kennedy's. Perfect conditions this year saw us with a new PB which will be ridiculously difficult to beat! Along with the usual rides we also had a fun day out riding on the Peninsula down to Little Akaloa and round the bays to Okains Bay with the Emilys. EW and I then dragged ourselves round a 6-hour rogaine the following day...you've got to make the most of summery weather when it's here! Clockwise from top left: the big green monster chilling at Okains Bay, Little Akaloa - many steep climbs ahead, EW shows us just how steep Okains Bay Road can be, top of Okains Bay Road - yay! There's been various orienteering events, the Mountain Bike Orienteering Nationals, the Wedding of the Year (! ), the Vegetarian Expo (so much delicious food! I love it! ), book groups (so many awesome books, so little time) and so much more. Early December was the National Rogaine Champs which was held in the Nevis Valley. I was racing with EW and it went pretty well apart from a few terrible controls!! I could write more here but I've already written enough and it's on my AP log so if you're interested you can read that here. 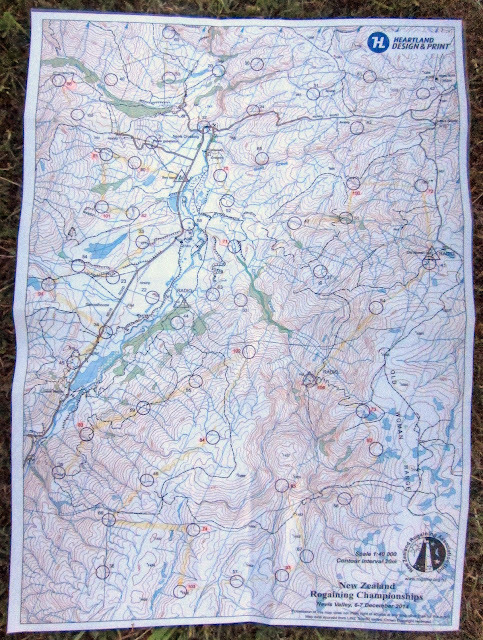 National Rogaine Champs map - you can almost make out our route if you squint hard enough! And of course it wouldn't be Christmas without the annual Christmas Rogaine!! 3 hours of good times blundering around in the bush in the mist! Yesterday I was intending to head back out that way on my run but I wasn't feeling all that great so instead I ended up looping back from the Kiwi and having a bit of an explore. It was supposed to be sunny but as you can see below, ummm, the sun hadn't quite managed to get itself together so instead it was misty and drizzly. 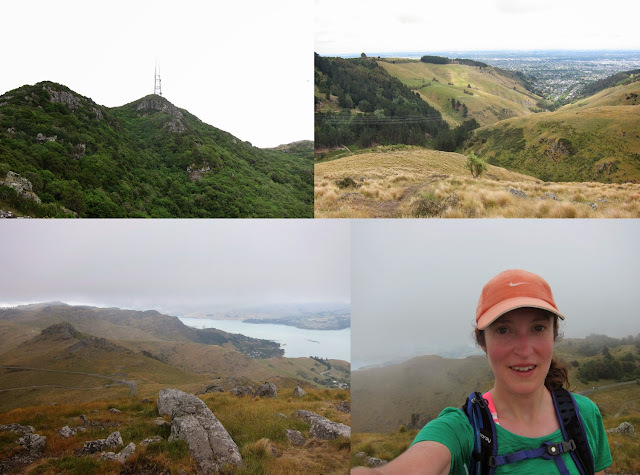 The Port Hills are awesome. And now back to Christmas. The tofukey just recently came out of the oven all ready for tomorrow and last night I found myself cooking yet another batch of cookies. I don't think I've ever cooked so many batches of cookies in such a short space of time! The tofukey in various states of preparation. Last night's cookies: a couple of New Zealand classics with afghans on the left and peanut brownies on the right (both adapted from the Edmonds Cookbook). Merry Christmas! Here's hoping the typical Kiwi summer storm doesn't hit whilst we're riding (or is that just too optimistic?! It is the West Coast after all) and the little earthquake we just had is just a lone ranger. It's that time of year, the time when I get to eat lots of cake and feel a little bit more wise (you know, every birthday you're another year older so surely also wiser as a result!). Thursday we had a farewell (for me even though I'll only be gone a month!) and a birthday celebration (also for me but for the 2 other workmates with early August birthdays too) which meant I had to make a cake! 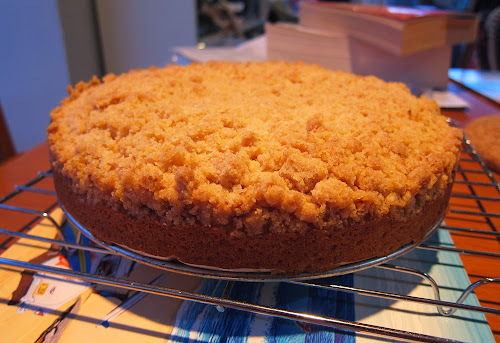 It was pretty late on Wednesday night when I started making the cake so went for something simple, the East Coast Coffee Cake from Vegan Brunch, except I made a lemon cornmeal version which I've done before. It went down well. Work got me the usual delicious vegan sandwich they get me (made specially by the bakery for me) while the others had the usual savouries and club sandwiches. A salad sandwich might sound a bit boring but actually these guys (whoever they are) make a pretty good one. I may have eaten a little bit more cake (with delicious coconut yogurt) for dessert that night...! Friday, after work and a nice little walk with M, we headed out to the Beat Street Cafe on Barbados Street for more delicious food. 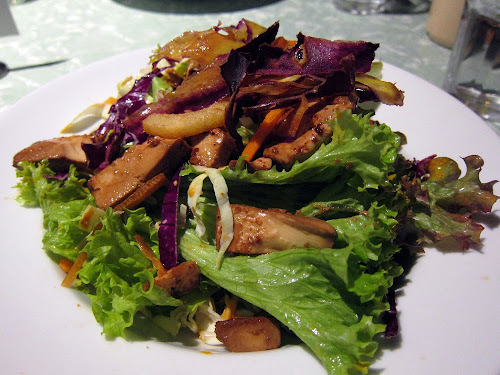 I ordered their Big Warm Salad with tofu (so so good) for my dinner. 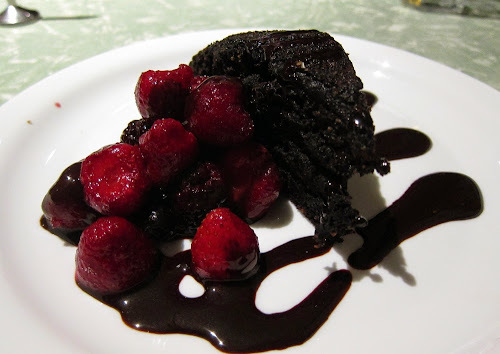 They don't have a vegan dessert on the menu but they do make a damn fine beetroot chocolate cake which they served with berries and chocolate sauce. I gather this is not normal but I'm sure they'd do this for anyone who asked. 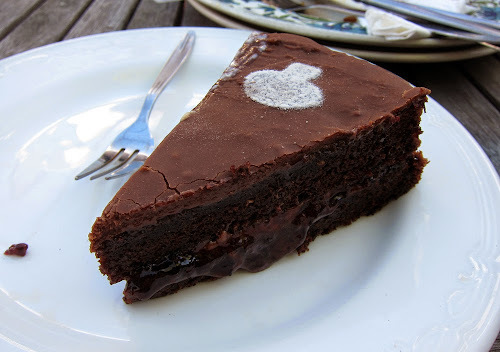 They also had a delicious looking vegan brownie but I can never turn down cake! Then Saturday dawned ridiculously summery hot (despite still being definitely winter here so it was awesome!) so we went biking along the tops and round the bays and eventually ended up in Lyttelton to check out the new vegetarian cafe there, The Shroom Room. 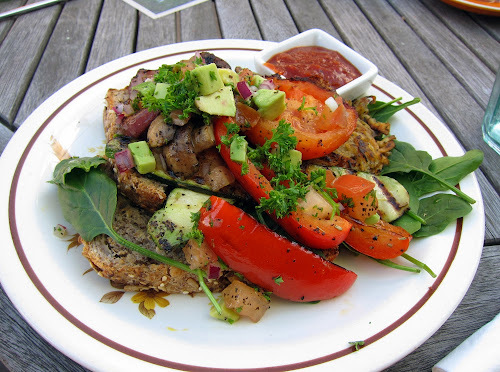 I had a delicious lunch of toast and hash browns with lots of delicious fried veges and salady stuff (yep, I'm good with descriptions). And of course more cake was consumed...their vegan chocolate raspberry cake was amazing and quite possibly wins the mini cake competition of the last few days of eating! All that food did make the final relentless climb up to the Kiwi pretty difficult though! But worth it. It seems vegan cake is doing quite well in Christchurch at the moment. The Lotus Heart makes a pretty fine cake. Then there's the Beat Street Cafe and The Shroom Room and I also heard from the waitress at Beat Street that there is a lady who makes several kinds of vegan cakes to sell at the Riccarton Bush Market which we haven't ever been to...but you can bet we'll be going once we get back! I don't know what it's like where you are but here in Christchurch it is most certainly winter! In fact, last Saturday was the shortest day (so I guess we're heading back towards longer days again...but normally it's about the time the weather starts to really get into the wintery spirit). Fortunately, although there was minimal daylight, the sun was out (in a cold, wintery way). Sunrise was 8:02am. We were a little disorganised so it was more like 8:05am when we were pulling out of our driveway. Fortunately The Goose was even more disorganised than us and was still eating breakfast when we turned up at his door so we went for a little spin while we waited. And then we were off...with a nice gravel hill to start with - up Rapaki to the Summit Road. I was very glad it was early in the morning and not too many people were about as there is one downside to tandem riding and that is that people do like to comment on it and that sure gets tiring after a while. 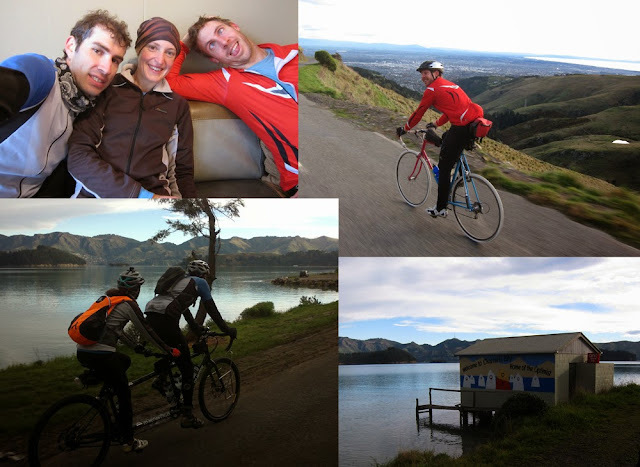 Clockwise from top left: First cafe stop at Diamond Harbour; Cruising along the Summit Road; Charteris Bay; Heading along the coastline to Diamond Harbour. 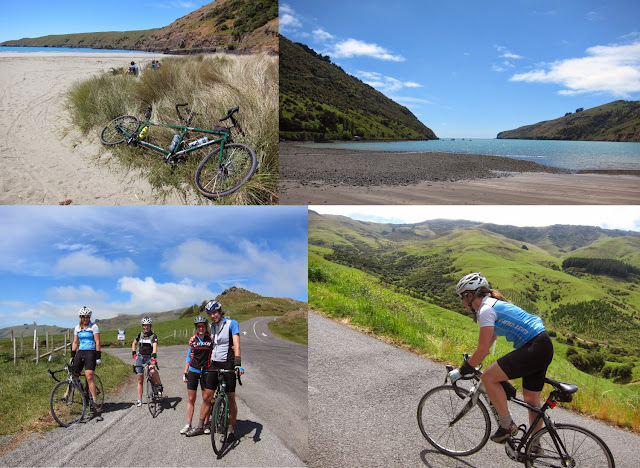 We headed along the tops and down to Gebbies Pass with lots of whizzing and fun times then along the harbour edge to our first cafe stop of the day at Diamond Harbour where we lounged around drinking hot chocolates. Next up was the second big climb, up to the Purau Saddle. I love this climb. The road is quiet and the climb is never too steep but is still relentless enough to be exhausting. We then whizzed down to Port Levy for a quick view of the sea before heading straight up again for the 3rd big climb of the day, up Western Valley Road, a nice (although I don't think M or the Goose would have called it nice! ), truly relentless gravelly climb up to the Port Levy Saddle. Slowly warming into the endless climb up Western Valley Road to Port Levy Saddle and loving every minute of it! We all collapsed at the top, feeling rather hungry and tired. So it seemed an excellent time to pull out the mini chocolate cakes I'd made to celebrate The Goose's birthday. We practically wolfed them down! 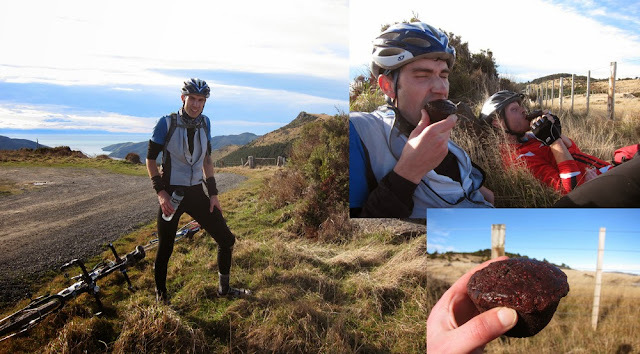 Wolfing down cake at Port Levy Saddle. The cake recipe, if anyone is interested, was a modified version of the Red Velvet Cake from The Vegan Table by Colleen Patrick-Goudreau. Basically I substituted some of the flour for more cocoa powder, used coconut cream instead of soy milk, added some chopped chocolate and swirled some raspberry jam through each of the mini cakes (baked in a texas muffin tin - it made more than my tins could handle so I also mostly filled a regular muffin tin too). 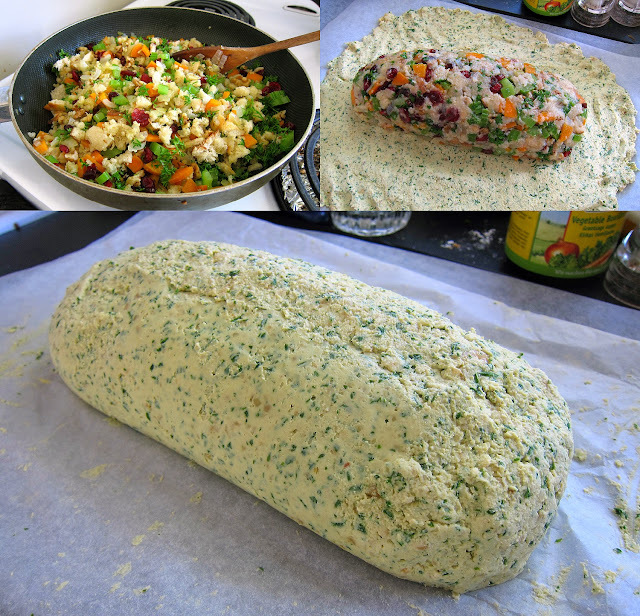 I also didn't add the food colouring. I totally recommend this cake. It's so moist and delicious! 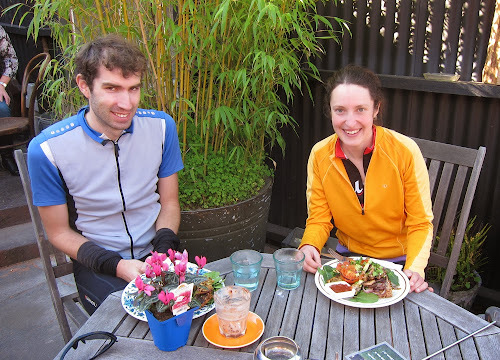 After a rather exhausting, bumpy descent down into Little River (definitely a good test of how the tandem handles gravel descents) it was time for some serious refueling at the cafe there. My eyes were definitely bigger than my stomach in that moment though as I could only finish one of the samosas on my plate and virtually none of the salad. I must have been feeling tired! So the boys polished off my salad while I took the other samosa for the road. Don't worry though, my appetite came back with a vengence up the next hill! 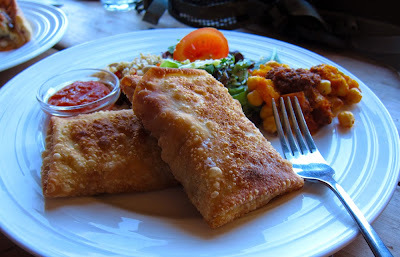 Vegetarian Samosas in Little River. And then for the last, and biggest, climb of the day, up Reynolds Valley Rd to the top of Bossu Rd. I was definitely dying up this hill as it just kept going and going! It was definitely spectacular at the top though with stunning views of the Banks Peninsula in all directions. Clockwise from top: Looking down Bossu Road towards Lake Ellesmere; Reynolds Valley Road; The Goose looking all suave near the top of the climb. So all that remained was the descent down to Birdlings Flat, a nice little jaunt along the rail trail and then a cruise back into Christchurch. We'd be back not that long after sunset (4:59pm) right? Not too far into the whizzing down Bossu Rd we got stopped by a vehicle informing us that the crossing over the ditch (draining Lake Forsyth out to the sea) to Birdlings Flat was, well, no longer a crossing so perhaps we might want to reconsider riding all the way down there. The boys, being boys, decided that surely there would be a way across and perhaps it wouldn't be too deep anyway (I was definitely not happy about this but when you're on the back of a tandem you don't exactly get that much say!) so down we went, chasing sheep left right and centre. And yeah...there was no crossing and no matter how much wading The Goose did the water was not looking shallow enough to walk across. To make it more exciting, the sun was busy setting and only M and I had lights (The Goose was clearly under the mistaken impression that we'd actually make it back by sunset!). After well over an hour of dithering we decided to head back up the hill again...only just as we were about to head off into the darkness a local turned up with his little dingy offering to rescue the maiden in distress and her companions (he said he was only doing it because there was a girl in the group - yep, sometimes it definitely pays to be female!). After 4 trips we were finally across (and the bikes of course!) and off to the rail trail...in complete darkness! There was much whizzing along (and desperate sandwich eating as we got more and more tired) and general good times and we made it to Motukarara in good time and good spirits. Once on the road again M decided it was time for some time trialling much to the despair of The Goose and I. We finally managed to rein him in at Tai Tapu and the rest of the ride was at a much more civilised pace but I sure was glad to get home...nearly 3 hours after sunset! 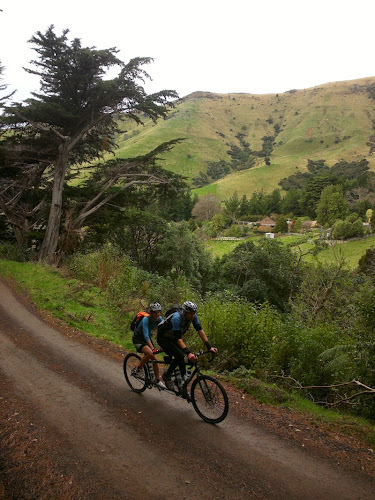 The ride has made me super excited for more explorations on the backroads of the Banks Peninsula. It's like an adventure playground for this kind of riding and it's right on our doorstep. Bring on summer and the longer days. Last weekend was supposed to be Heights of Winter, a 12 hour rogaine that happens every year in Canterbury around the full moon during June, but this year it was cancelled for, quite possibly, the first time after major flooding in North Canterbury earlier in the week. It's been a pretty wet year so far in Canterbury with with several floods in our street already and the hills are pretty green (they've been pretty brown for pretty much the whole time I've been here). Anyway, we'd already booked a couple of baches in Gore Bay for the event so it seemed a shame not to head up there for the weekend anyway especially since the forecast was so spectacular. 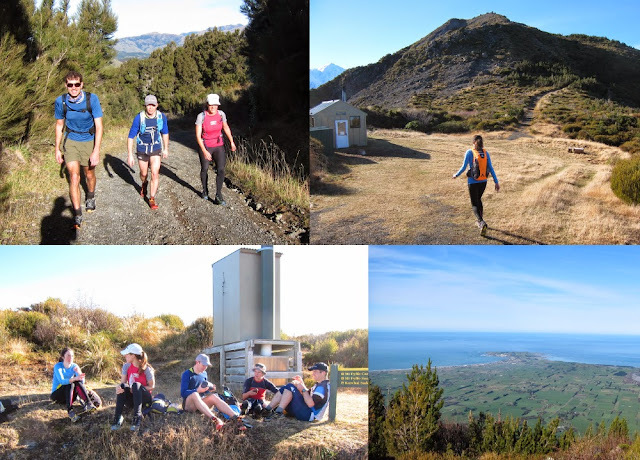 Saturday a small group of us headed over to Kaikoura and up Mt Fyffe while the others did some other more epic icy mission. My favourite thing is going up steep hills so the track up to the hut was awesome (about 1100m). After that, however, the track started to get pretty icy and I ended up slipping over and hitting my head so M and I headed back down (and then up to the hutt again because hills are fun!) whilst the others continued. Spectacular views from the top and it wasn't even too cold! In the evening there was the most amazing full moon which I wished I'd taken a photo of. My friend C and I had a very lovely walk by moonlight along the beach. It was so beautiful and the sound of the waves crashing against the shore is like soothing music. Sunday, after a lot sleep in (! 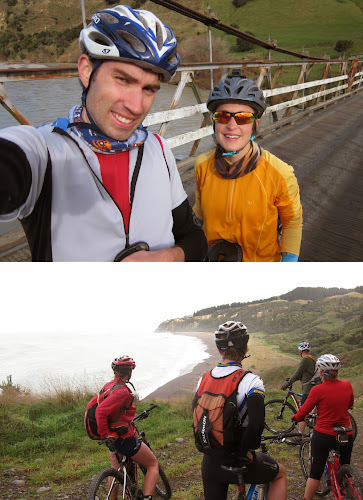 ), a group of us biked over the hills to the Hurunui River and back (with a few detours down to the coast). It was a perfect cycling day - not too cold and very calm. So all in all it was a pretty good weekend but still pretty sad there was no Heights of Winter this year especially since I could do with the training. We are heading to the States in about a month and a half for the World Rogaine Champs in South Dakota and I have yet to race a long rogaine with my team mate (other than TWALK and I'm not sure that really counts)! Hopefully the Golden Road Rogaine takes place next month. 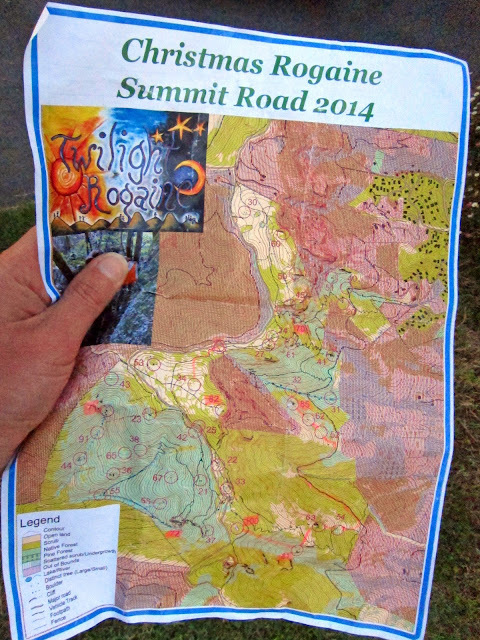 M has been helping me work on my route planning which is definitely helping. But I better get ready for bed. Tomorrow is the shortest day here and we are planning on riding from sunrise to sunset (or something like that). Should be fun! This past weekend was Queens Birthday weekend (her birthday is actually in April I think but I'm not complaining) so we got a lovely long weekend for some fun adventures. The weather was looking fantastic (but cold) pretty much everywhere which make trying to work out what to do much harder! In the end M and I settled for doing some long tandem rides from Murchison each day since we don't have the panniers set up for the new bike yet. 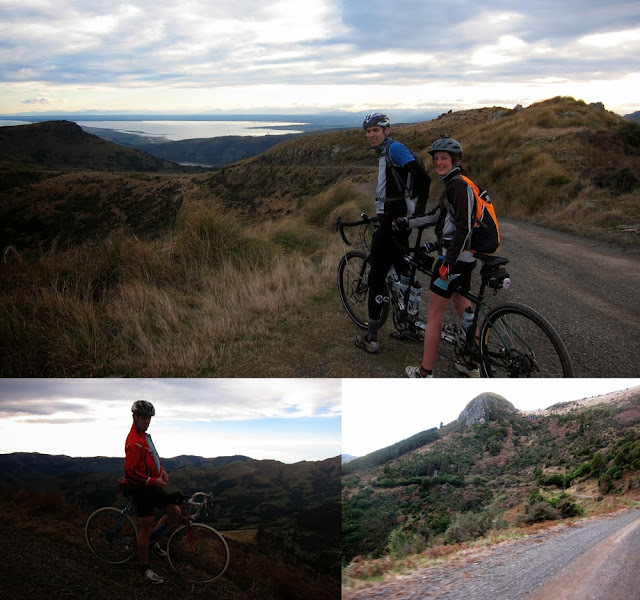 Saturday, after driving up from home, we set off up the road for a nice warmup ride towards Maruia Saddle. 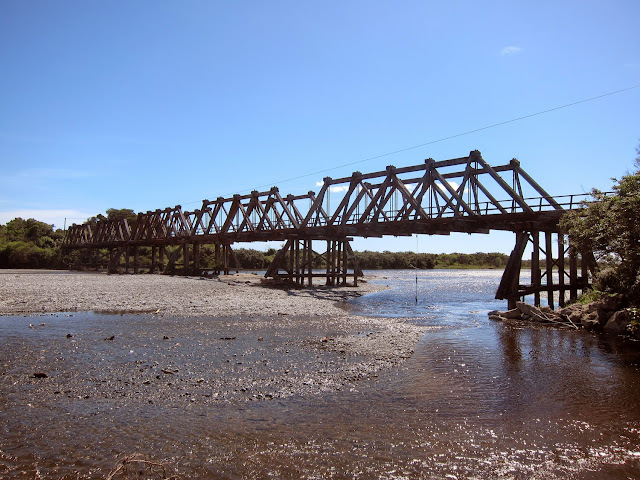 We rode as far as the main bridge before turning back since the sun was on it's way down and it was getting cold. It was the first time we'd taken the tandem out on the gravel and it seemed to handle it with ease. Sunday morning we were crawling out of bed early ready for a long day. The plan was to ride to Westport (for hot chocolates and hot chips of course) and back which would be the longest day ride for both of us, coming in at over 200km. Exciting! It was a cold start but I'd warmed up by the time we got to the Upper Buller Gorge. 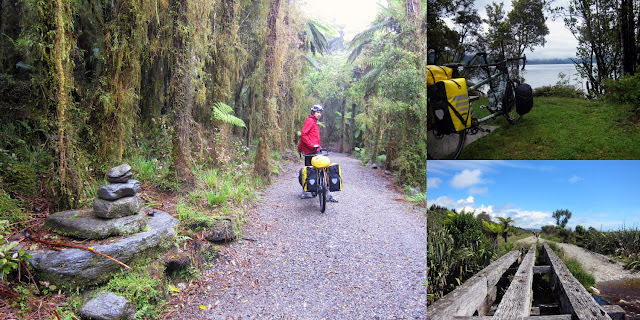 The scenery was fantastic and there was very little traffic around so it made for pretty awesome riding conditions but M had promised me hot drinks in Inangahua which was about halfway to Westport. Unfortunately the only shop was closed (for sale I think) so we pressed on into the Lower Buller Gorge for more awesome scenery (and, finally, some sunshine!). After a fairly painless 103km we'd made it to Westport and, after a quick trip out to the coast on the end of the pier (with a fantastic view back to the mountains and Denniston where we have ridden during a previous visit) it was off to the nearest cafe for hot chocolate and fries. Perfect! Not that we could stop long since we were conscious of the ever decreasing hours of daylight left! The ride back was pretty good. We had a nice stop at the cafe in Berlins (it has a place name which makes it sound like a town but the only thing there is a cafe/accommodation) then it was back on the road. The sun vanished with about 20km to go and so too did any resemblance of warmth which made the end fairly torturous. I may have been wimpering a bit on the back! But if I'd thought it was cold then, well, Monday had another thing coming. 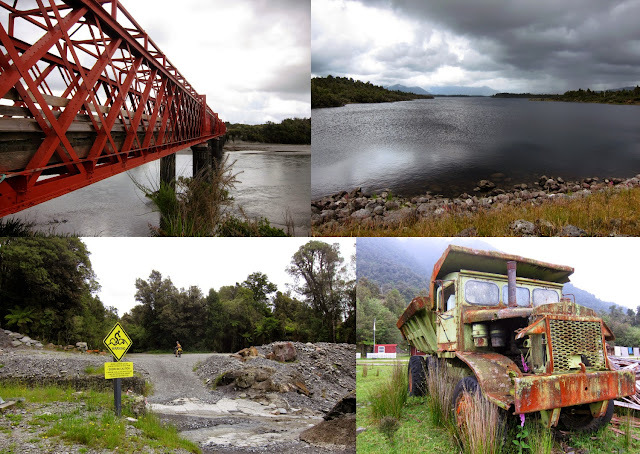 We headed off along the back roads (via Braeburn Track) towards Lake Rotoroa and, despite being wrapped up in several warm layers and super thick lobster gloves, I felt like I was getting colder and colder. Once my feet started getting cold my right foot was really playing up making it difficult to pedal. The Braeburn Track goes up a valley through the bush that clearly gets no sun during the winter months as the frost was thick on the ground and the gravel was icy. I did eventually manage to sort of warm up in time for a bouncy decsent down to Lake Rotorua where we had a delicious lunch of only slightly squashed sandwiches! The lake was beautiful and I would have liked to stay there longer but it was too cold so we had to bike on. 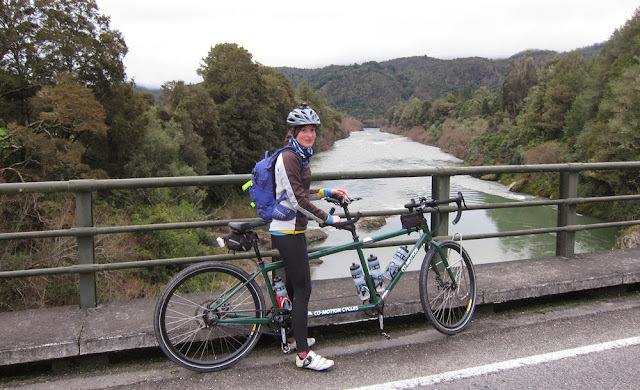 Despite the cold it was a fantastic weekend and a good test of our tandem on gravel roads (and long distances). 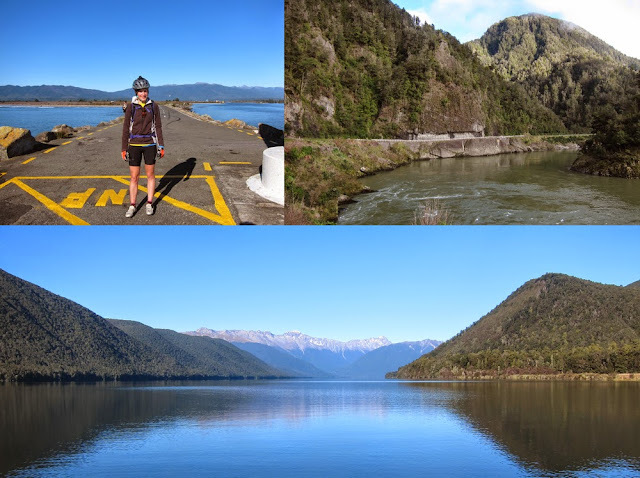 M has ideas of us doing the 400km Marlborough Mayhem Kiwi Randonneurs ride in October which is a little scary and if Le Petit Brevet is happening again this year we were going to give that a go so we're going to have to put in some more long rides over the winter. I better get used to being cold!